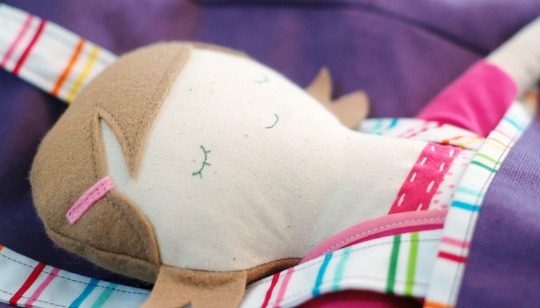 A cute little friend of ours is turning 4 this week - finally, an excuse to make girly stuff. Yippee! Having never made a backpack before, I went with a very simple design - a rectangle with rounded corners. Using my son's backpack for reference, I measured out a rough* size, and then sketched a pattern. *next time I will adjust the height just a little - 3" shorter and it would have been perfect. The backpack was new territory for me, but when the time came to make the doll I felt pretty confident. 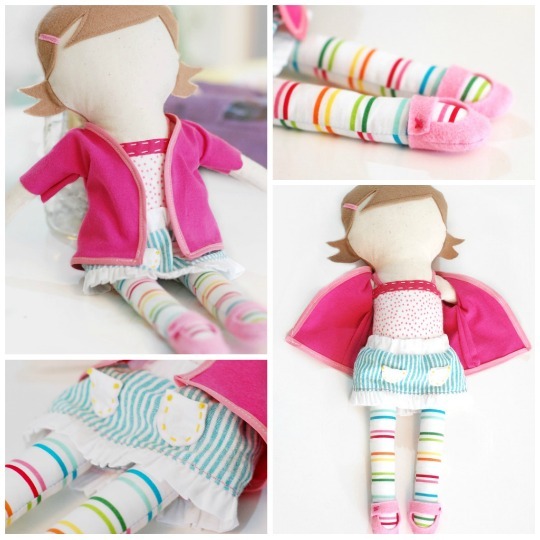 A few years ago I went through a doll making phase and, in the process, created my own doll pattern which came in handy for this project. Unfortunately, I lost every ounce of that confidence when it was time to draw on the face (as you can tell by the blank face in the photos). Messing up meant I would have to make an entirely new doll, and I REALLY didn't want to do that. It took me nearly a week to muster up the courage. I had such a great time making this gift, and I really hope I get the chance to make more in the near future. Hey well done, this doll is so beautiful, what a lucky girl! Yes, ditto what Mindy said about the doll pattern. I lover her hair! And what a cool gift it would be to go with a matching market skirt. :) adorable! I would love to make this set! 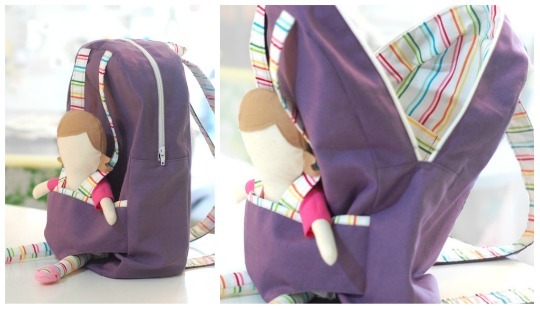 Do you have a tutorial planned for the doll and backpack pattern? I've got two little girl birthday parties coming up next month--this would be perfect!